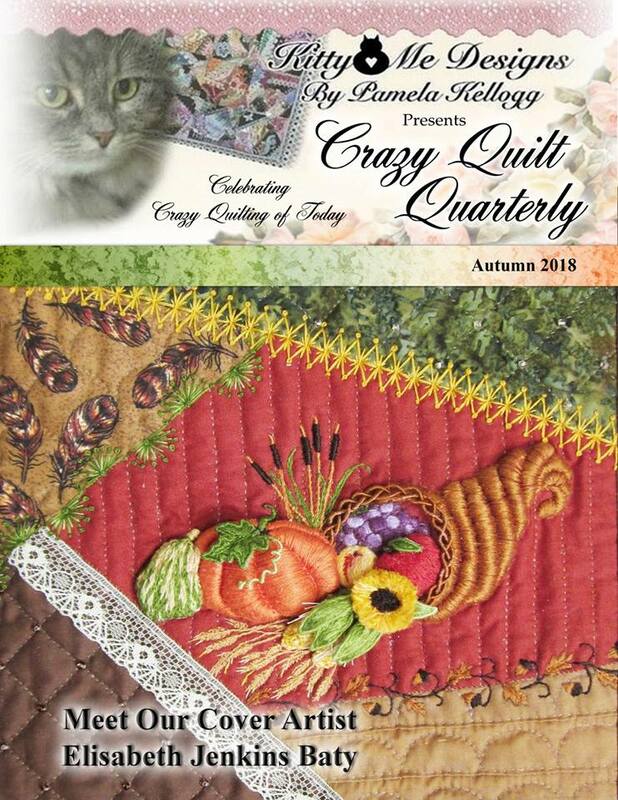 The Autumn 2018 issue of Crazy Quilt Quarterly magazine is now available! I've been reading through my copy...and dreaming of the beautiful blocks to be made using orange, red, green, yellow of Fall! Such an inspiration! The Autumn 2018 issue cover design by Elisabeth Baty. just makes me want to stitch! Her stumpwork cornucopia is absolutely stunning. The entire issue is packed full of wonderful projects by projects by Betty Pillsbury, Gill Compigne-Leaney, Suzy Quaife, Jan Conwell, Angela Grasse, Janese Morris, Renee Watts, Darlene Kliewer, Brenda Sandusky, Robin Waybright, Genevieve Tracey, and Mary Anne Richardson; with a combined article by Alice McClelland & Janet Popish. 40 Pages of patterns, articles, and enjoyment. Head on over to Magcloud and check out this issue...and any past issues you might have missed. This magazine is a labor of love for Pam and her entire group of contributors!